Don’t you hate it when someone says, ‘trust me it will work’, without being able to give you any reason or lines of evidence for their promise? We hate it too! That’s why it’s time to take a quick look at science and chiropractic treatments. Understanding why this method of treatment works, how it works and what you can expect if you attend a chiropractor for the first time, can give you the needed confidence to take the first step in ridding yourself of pain. Sounding interesting? Great! Let’s get started. Chiropractors use manual therapies to treat their clients. In simple terms, this means that they use their hands to treat bone, muscle and joint issues. 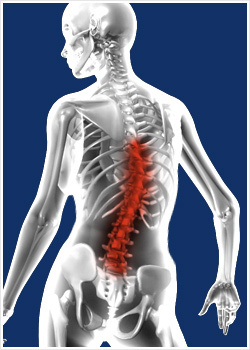 To a chiropractor much of the treatment performed is based on one key factor; manipulating the spine. In general a chiropractic treatment is not one single visit to the practitioner. Rather it is based on a series of visits or a routine session of treatment. The profession of a chiropractor is not based on simply treating pain. Rather the key goal is to find the cause of the pain. In other words a trained chiropractor knows that in general pain is not the sole problem, rather pain is the body’s way of telling us that something is wrong. That means that whilst your chiropractor has a keen desire to work with you to at lease ease, if not eliminate, your pain, their focus will also be keenly pointed towards finding the culprit for the discomfort in the first place. This fact comes as a surprise to many people, who simply view chiropractic treatments as a form of pain relief, rather than a way to identify and address the underlying issue. – To address your complaints by providing thorough and specific treatment. – To explain to you exactly what and where your underlying problem is. – To inform you on how to care for and improve your current condition. Whilst we tend to associate chiropractic treatments with the presence of pain, for example spine problems, lower back discomfort and neck pain, there are actually many other conditions that may be able to be treated by a chiropractor. At the initial consultation the chiropractor will ask plenty of questions about your current health condition. Even though you may have made the appointment because of pain you are experiencing in your back, the chiropractor will ask you questions about other body parts, and your general lifestyle. Why do chiropractors take such an interest in your overall health? Simple; they fully understand how the body is all connected, pain in one area can be a cry for help from another part of your body. By being as open and honest as possible with your chiropractor you are setting yourself up for the best possible standard of care. Certainly, science and chiropractic treatments go hand in hand. Whilst there may be many chiropractors in your area, it is important to choose one that is passionate, thoroughly trained and committed to their profession. So if you have any questions about this line of treatment, or are hoping to relieve pain or discomfort within your body, then Dr Maryott at the Rocky Hill Chiropractic Clinic is ready and waiting to help get you back on track.